At Speck we’re always amazed to hear the stories customers send us of extreme scenarios where their case protected their phone from harm. Mark Wicklein from Indianapolis, Indiana sent us a harrowing story of when he was run over by a truck while on his bicycle. While he sustained a broken leg and his bike was destroyed, he was amazed to learn that his iPhone — protected by a CandyShell case — came away without any damage and was recording the whole ordeal. I just wanted to let you know how amazed everyone was with your CandyShell case on my iPhone 6. 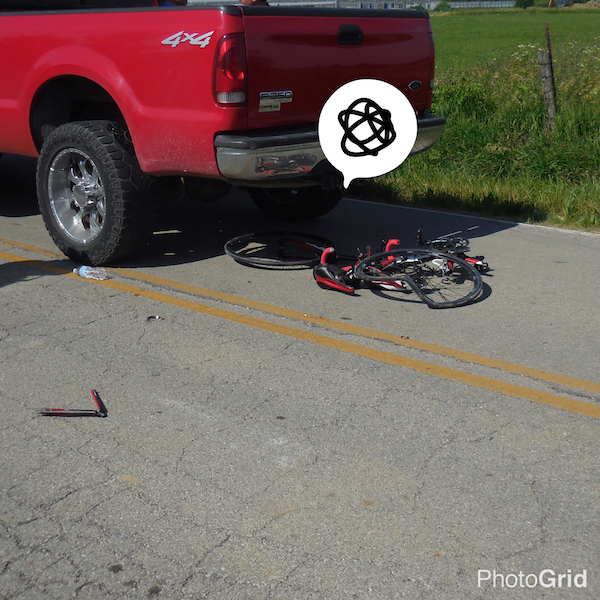 I was cycling last June when a one-ton pickup truck struck me and then drove completely over me. My carbon fiber bike was obliterated, helmet destroyed, and everything else was broken. I sustained a compound fracture and deep lacerations, plus bruising and road rash head to toe. Yet my iPhone came through completely unscathed, much to everyone’s amazement. And it was still recording my ride — ambulance journey and helicopter flight included. Phenomenal product! He says that he is doing amazingly well post accident and so is his phone. Check out more photos below.